No nonsense vice president, Rtd General Constantino Chiwenga, might be forced to sieze total Zimbabwe power at all costs amid reported growing suspicion by his personal military advisor and confidant, exiled and fallen Ethiopian autarch, Mengistu Haile Mariam, of an alleged plot by unnamed foreign powers to have President Emmerson Mnangagwa's deputy sacked from the presidium, as a condition for unlocking foreign direct investment into the comatose economy, and fully readmitiing Harare into the International community after almost two decades of ostracization, Spotlight Zimbabwe reported. Senior defence ministry sources in the capital, this week said Mengistu, who is now enjoying full Zimbabwean citizenship with his family after being granted political asylum by former leader, Robert Mugabe, with the aid of the U.S. in 1991, has allegedly advised Chiwenga "to takeover power if push comes to shove" as the newly voted Mnangagwa administration has been compromised by some Western players who are heavily involved in Harare's affairs in a subtle manner through proxy cabinet ministers they said. Mengistu, is it also coming to light, reportedly believes that The Kgalema Motlanthe led Commission of Inquiry into army killings on civilians during post-electoral protests last month, is going to have it's findings "weaponised" against Chiwenga and could be a broader set up to force him to prematurely resign. 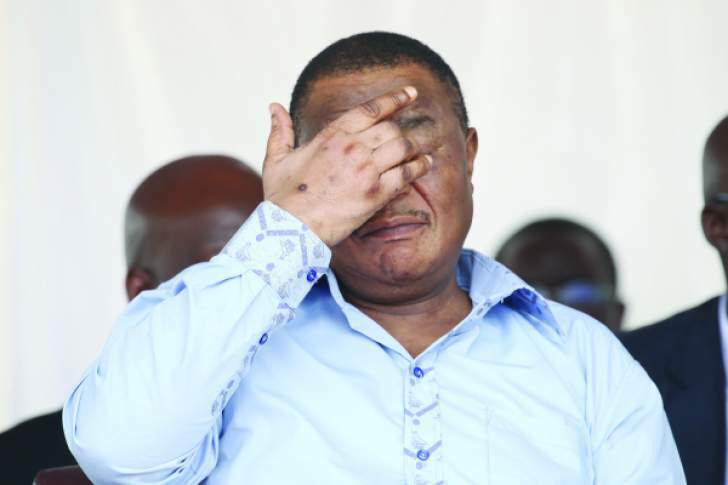 Chiwenga was still holding the defence minister portfolio in charge of overall security services, when the tragic episode which claimed the lives of six innocent civilians in the primate city's central business district occurred. The incident which Mnangagwa has described as "regrettable and unacceptable" while officially opening the First Session of the Ninth Parliament on Tuesady, was as a result of voter riots over what was seen as attempts by the authorities, to doctor presidential election results in favour of the ruling Zanu PF party. Spotlight Zimbabwe, is the first publication to report about Mengistu's secret involvement in the country's military affairs, and that the November 2017 army putsch against Mugabe, which was the brainchild of Chiwenga was in fact first mooted by the former Ethiopian dictator, who had also prior to that advised the VP, then the boss of the Zimbabwe Defence Forces (ZDF), to step in and allow the military to resolve Mugabe's once cumbersome succession gridlock, as it had become "a threat to national security" from his current off the radar base at a Vumba farm he owns. "Our country is headed for uncertain times ahead," said a senior long serving officer now under new defence minister, Oppah Muchinguri-Kashiri. "The vice president is not a fool, he has a lot of advisors and military intelligence at his disposal, therefore he knows first hand what's going on in and outside the government. Many people are not aware that he personally nominated our minister (Muchinguri-Kashiri) to replace him, and she still reports to him directly. I think you saw her accompany him to Kanyemba recently, when he was acting president while Mnangagwa was in China, long before she was even announced as new defence minister." The ministry official added Mengistu to the puzzle and the shocking disclosures of an imminent power takeover by the VP, if foreign hands heighten threats to dethrone him. "Chiwenga has been advised to seize total power by Mengistu at a meeting they're believed to have held a fortnight ago, because the new government is compromised by outside influence, and that there is suspicion the West wants him dropped from the presidium before they can start investing in the country. Also the Commission of Inquiry set up to investigate last month's election killings is being viewed as a vehicle to nail Chiwenga with blame, and thus have him relinquish his post. That is not going to happen. We are headed for very tough and uncertain times ahead, once the Commission's findings are made public in three months." Other sources close to military intelligence officials, said Mengistu also told Chiwenga to be wary of cabinet ministers who "could have been planted" in cabinet as "proxies" for unseen forces bent on his dismissal from government. "One can see that Mnangagwa is not fully in control of government. There are at least three factions brewing, including his camp, a section reporting to global handlers, and the generals in this administraion. This is a very sensative issue, but one does not need rocket science to decipher that a certain key minister appeared from nowhere and is now trusted with transforming Zimbabwe's fortunes. There is also another appearing to be holding an innocent portfolio, but things are not what they seem to be. They basically came back to be ministers, but on whose orders?" Speculation has been rife of late, that there is increasingly a falling out between Mnangagwa and Chiwenga, but the president who is in New York to attend the United Nations General Assembly, has denied that there is disharmony in the presidium. Chiwenga is said to be in favour of Zimbabwe consolidating her foreign policy with Russia, China, Iran and India, against Mnangagwa's largely pro-West "Zimbabwe is Open for Business" mantra. Chiwenga is also reportedly having the full support, of other former military generals in the new administration, Spotlight Zimbabwe, can reveal. In April this year, one of those close allies, former Air Force of Zimbabwe (AFZ) boss, Air Marshal Perence Shiri, who is minister of lands, agriculture and rural resettlement told shocked farmers during a field day in Chakari, a mining village in Mashonaland West, that Chiwenga could have seized power for himself during last November's coup, but he was not power hungry. "VP Chiwenga is not power hungry because he could have assumed power after the former President was removed, but as a professional soldier, he handed over power to President Emmerson Mnangagwa, who asked VP Chiwenga to stay as his deputy," Shiri said. Chiwenga's suspicion of the West's activities in Zimbabwe were confirmed last August shortly before he was appointed Mnangagwa's deputy, while giving his last Heroes Day interview to the state media as ZDF Commander, when asked if the country was safe. "The short answer to your question is that the country is secure and the people of Zimbabwe should feel free to go about their usual business. However, there is a spirited attempt by the country's detractors from the West to target those Southern African countries which are under the administration of former liberation movements for illegal regime change," said Chiwenga. "The detractor's ultimate objective is to topple former liberation governments and replace them with puppet pro-West regimes that are willing to protect powerful countries selfish imperial economic interests. They are spearheading the regime change agenda through the Western-led 'Ring-fencing strategy'. Zimbabwe is one of the targeted countries due to her progressive national development policies meant to empower the majority of her people." The vice president's office was not available for comment last night, while the information minister, Monica Mutsvangwa, was unreachable on her mobile phone. Mengistu, who does not speak to the press could also not been drawn for official comment as all his numbers rang unanswered. The former military leader is now a silent and powerful kingmaker in the country's politics, as Chiwenga's special advisor and hired military consultant of government. 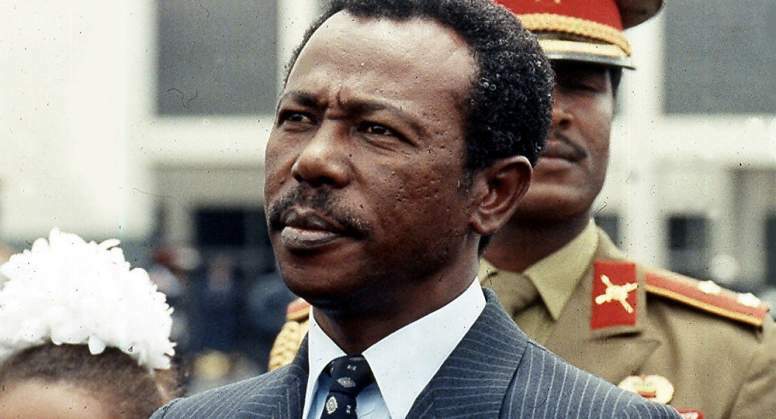 Also known as the "butcher of Addis Ababa" for the Ethiopian genocide, Mengistu once advised Mugabe's administration and was instrumental in many past government war-like operations on civilians to quash possible popular uprising, such as Operation Murambatsvina, a brutal 2005 urban clean-up campaign blitz, that left nearly a million people without a roof above their heads.